Thank God, I am unhurt, and I think it was a merciful Providence. Our troops charged by… Our boys were shot down like hogs, and could not stand it, and fell back each man for himself. Then the same scene was enacted as before. This time the Yankees charged after them, and as I had no chance at all, and all around we were surrendering, I was compelled to do so, as a rascal threatened to shoot me. I had to give up my sword to him. Journal entry on October 4, 1862. 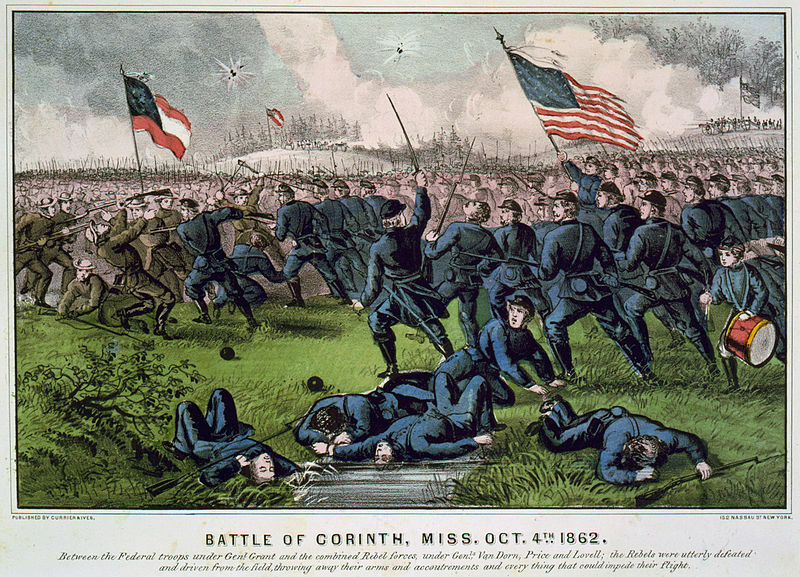 Corinth, Mississippi, had been captured by Union troops during the Spring of 1862. In the autumn, the Confederate Army of the West and the Confederate Army of West Tennessee united to attempt to recapture the city. Union General Rosecrans prepared to defend the city against the attacks by Confederate Generals Price and Van Dorn. 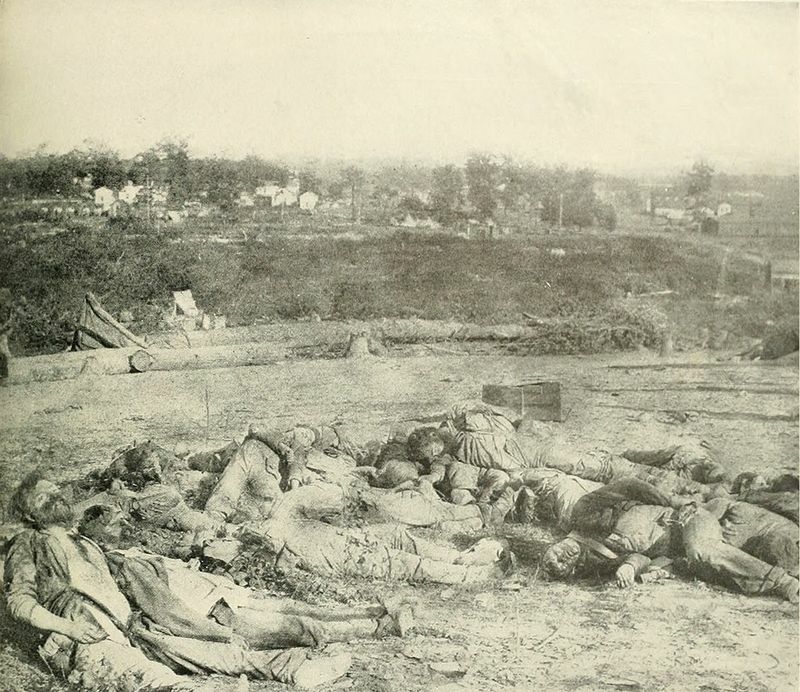 A few Confederate soldiers entered the city, but they were quickly captured and no major breach was accomplished. The Second Battle of Corinth was a Union victory; total casualties for both sides were just over 7,000 dead, wounded, or missing. Although it’s fascinating to study the battle reports and more comprehensive primary sources, it is important to read the accounts by the “common and unknown” soldiers. What were they really experiencing as they charged and battled their way toward the fortifications? 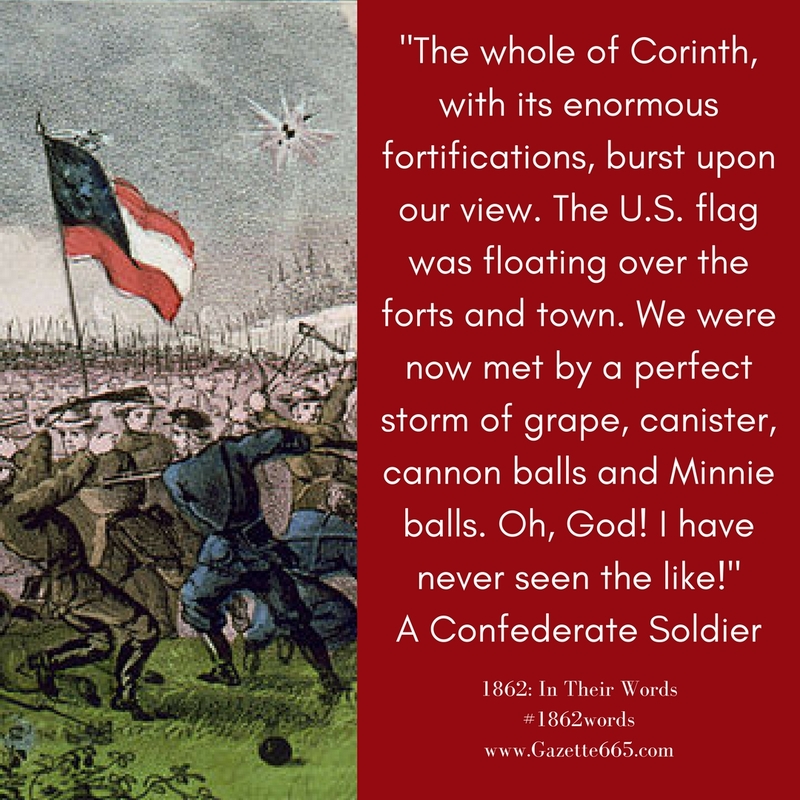 Charles B. Labruzan’s account written on the day of the battle (assuming his journal entry date is correct) gives us a glimpse of the courage, terror, and grimness of battle. As a lieutenant and a company commander for the 42nd Alabama Infantry, Labruzan was captured during the Battle of Corinth. He was eventually paroled, returned to his unit, and was captured again at the Siege of Vicksburg in 1863. Death is inescapable in Labruzan’s account of this battle. Unlike accounts from 1861 or battle enthusiastic soldiers, his entry reveals the horror in a matter-of-fact tone. War was changing the way soldiers wrote and thought. He focuses on surviving – lying close to the ground and feigning death. There is still an element of unit pride and consciousness of courage, but this is no longer a “glory scene” or rose-colored image that’s sometimes found in earlier war accounts.